Yes, it is easy to send a text message from your computer. Of course, sending large numbers of SMS requires specialized platforms. By reviewing different British SMS providers, ClickSend offers the best value. See why. One of the beauties of text message service is that there are a number of good, reliable SMS Providers in UK that can assist you with sending out small, medium or large volume of SMS at any one time. They range from ClickSend to WholesaleSMS, SMS Tech, SMS Broadcast to directSMS. From the authors’’ independent review of major SMS providers, it was assessed that ClickSend is best value. Why is ClickSend best value as a SMS UK provider? The reason for ClickSend being assessed as best value for people wishing to send message from their computer is that it is a reliable service with a range of cheap pricing options and is considered in UK to be one of the top SMS leaders which means that from the start, it will be easy for you as a client to setup your computer and be able to send text messages in a matter of seconds. One must realise that sending a standard text message from your computer must meet the 160 character requirement and that includes the opt-out text. However, text messages can be linked in a chain or series which means that you can exceed those magical 160 characters. This means that one can send two SMS messages which are joined together on the device. This is a good thing to know so that you can maximise such a service. The reputable SMS from Computer Providers will likely alert you to this option and show you how to do it when you firstly send a SMS and provide with advice should you need such direction. To be able to send a text message easily from your computer is a very important consideration in this fast moving world of ours. When you think about it, to be able to send a message about a new product or service, to be able to remind someone about an appointment or to tell staff about a matter in your business is all made simple and effective for you. 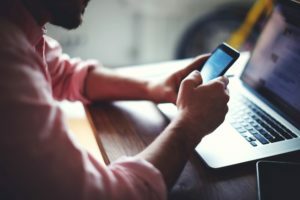 The range of UK SMS providers allowing you to send text messages from your computer is ever increasing and so you need to be wary as to the credibility of these providers and their offer and range of pricing options. With so many available SMS providers, you need to make sure your message is delivered every time you request it. One of the important aspects is that the engaged provider has a connection to UK’s telecommunication networks. 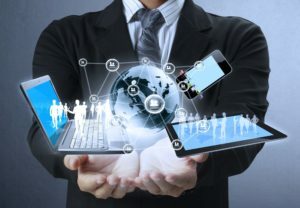 This is critical for it is that reliable network that will ensure your SMS has been delivered and also knowing that all information is on-hand regarding the delivery status of any SMS that you send, the customer opt-out information, that the process is SPAM compliant and that your text message is able to be read and the replied messages are received. A good, quality SMS Provider should ensure a client that it has all these features. The charges will vary between SMS providers dependent on quantity, gateway provider that will be use (Direct or Hybrid) and the regularity of using their services. In the review of numerous SMS providers and selecting the most reliable ones in UK, it was assessed that for the low range of distribution on a monthly basis, there was a similar price range. However when the volume is larger the differential becomes larger with ClickSend being the overall cheapest option in terms of pricing. In the costing, one must also check factors such as set up charges, contractual agreements and monthly fees, sending sms via existing email system and sending sms online to single or bulk or group of recipients . In the case of ClickSend they do not charge for these factors. The graph below provides you with a visual overview of the rating from a charge perspective of these major SMS providers. The critical requirement of reliability and customer care are matters that need to be compared and reviewed. It is one thing to offer a cheaper service, it is another to know that your text messages are going to be sent as required and that if there are any issues or problems there is a contact point to assist in times of need. It cannot be stressed enough that the type of gateway carrier adopted is very important from a reliability point of view. Direct connections to British Telcos carriers are more reliable than what is known as Hybrid connection which engages international carriers not in UK supported sometimes by British telecommunication carriers. Direct connections will provide you with better reassurance that the message will be sent and received. The uptime guarantee feature is very meaningful to a prospective client. 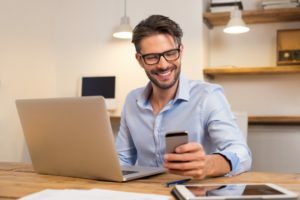 What it means is that a SMS provider has the capacity to deliver your text message from your computer with at least a 99.95% uptime guarantee. This requires a robust infrastructure to ensure that the Providers platform is always reliable and available when required. The graph below indicates the reliability factor of the major SMS providers for ease of evaluating their efficiency and effectiveness. It’s one thing to offer 99% uptime reliability; it is another thing to reassure clients that the SMS Providers will offer a range of customer care services on an ongoing basis. It is vital that a client can depend on a Customer Care centre to assist when needed whether it is for a campaign or communication plan or challenges that might be encountered or the ways the SMS Provider can add value to the client. In the case of ClickSend, it has an 1800 number or the use of Skype which means that one can be in touch on an ongoing basis. It also offer a 24/7 email support. An international phone number is also provided on their contact page. Another support aspect is the production of quarterly review reports and the offer of update meetings to support the client review of their effectiveness in distributing their messages. The SMS Comparison Table and sites are available to you free of charge. There are no conditions or requirements for their use. The Table was established because the authors, who are experts in the SMS filed, felt there was a lack of understanding of the ways potential clients and interested people could evaluate one SMS Provider from another. This has led to the simple comparison table and details in the associated sites. The authors hope you gain the information you need from this Table and Sites. It should be pointed out that the SMS Providers in UK and internationally may change their features and costs without notice so if you see any irregularities, please let the authors know and changes will be made. Additionally, if you click onto a Provider and engage their services from the Table, then the authors will request a commission from the provider and not from you. The authors hope you gain what you need from these Comparison Tables and associated Sites.